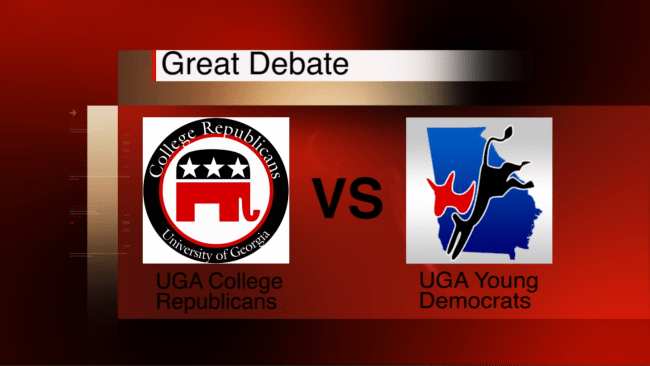 Politics will heat up again on the UGA scene when the UGA College Republicans and UGA Young Democrats meet to debate October 6, 2016. Debaters will discuss topics such as the economy, what should be done about illegal immigration, and health care reform. Debate coordinator Tucker Boyce says he hopes the debate helps students find common ground. The debate will take place in UGA’s Tate Grand Hall at 7 p.m.